Ashburn, Va. – According to U.S. Census figures released in March, Loudoun County, Va. is the fastest growing county in the state. The county’s estimated population growth rate between 2015 and 2016 was 3.03 percent, representing 11,386 new residents. Since the 2010 Census, Loudoun County’s population has jumped by almost a quarter, with the addition of an estimated 73,609 new residents. Mirroring this accelerated growth is Erickson Living’s Loudoun County community – Ashby Ponds, located in Ashburn. With the recent addition of Cherry Blossom Square, the community’s tenth residential building, and two additional residential buildings opening in early 2018, Ashby Ponds is now the fastest developing continuing care community in the nation. In an effort to address the needs of the hundreds of new community members moving to the Loudoun County community each month, Ashby Ponds’ personal moving consultant, Elizabeth McCumiskey meets with future residents, offering the many benefits of the Erickson Realty and Moving Services program. Introduced in 2007 and available at all of Erickson Living’s 19 communities, the program helps eliminate the many challenges older Americans face when selling their houses and preparing for their moves. At the heart of the Realty and Moving Service program are the personal moving consultants, like McCumiskey, who work one-on-one with future residents to provide personalized assistance with everything from selecting a real estate professional, to staging their home, to packing and moving. In 2016, McCumiskey and her team of real estate professionals helped community members sell $39 million in real estate. 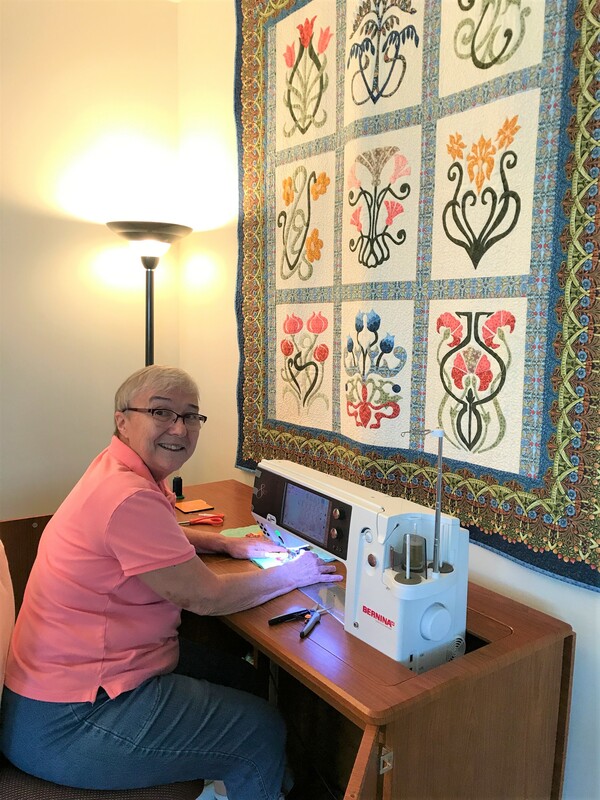 “The help I received was invaluable,” says Elaine Wienholt who moved to Ashby Ponds from Maryland last November. With McCumiskey’s guidance, Wienholt enlisted help to sell her home, downsize, pack, and move her personal belongings. And word of mouth is a powerful force. To date, with almost four months left until the new year, McCumiskey has already helped sell $38 million in real estate and continues to work with over 93% of the people moving to Ashby Ponds. That’s exactly what Wienholt and her cat Sweetie did, moving to Ashby Ponds while the professionals updated and sold her condo.